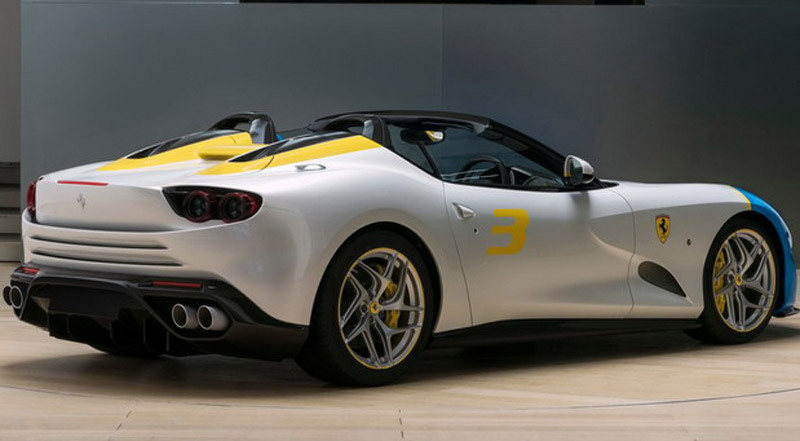 Ferrari introduced another special model, again made by order of enough wealthy client. 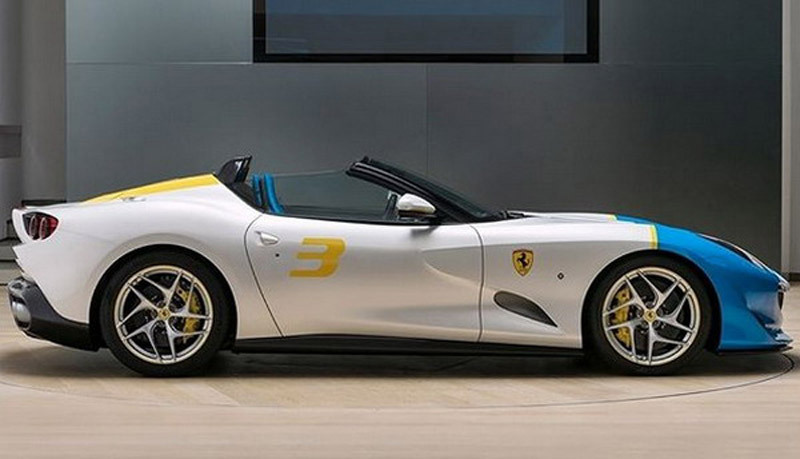 In front of us is the Ferrari SP3JC (JC in the name because of the name of the buyer – John Collins), a unique roadster for which creation was in charge Ferrari Styling Center, whereby as a base served Ferrari F12tdf. The short news says the car is in Bianco Italia color, with parts in Azzuro Met and Giallo Modena color. As far as the interior is concerned, the seats are covered with blue leather and with white contrasting details. 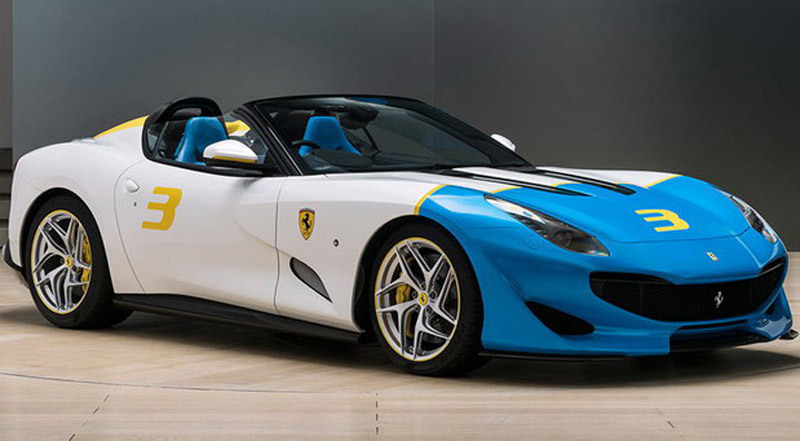 Ferrari has not reported much details except that the V12 engine has 574 kW / 780 hp and 705 Nm of power here.